I arrived at IIM Kashipur on 29 June 2018 at around 6:30 pm. I was absolutely overwhelmed to find the lush green campus with red brick buildings. The green grass extended all the way until where my eyes could see and the exhaustion from the long journey from Nagpur was suddenly gone. It was clear to me that I was going to be living in a place which had its roots firmly embedded in nature. 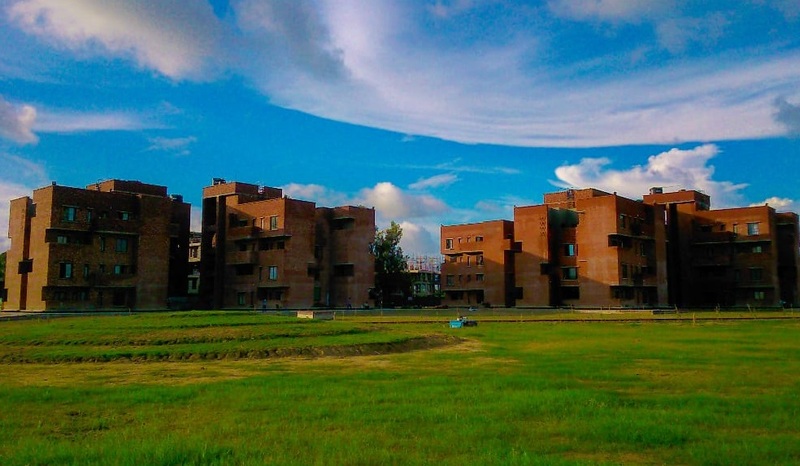 IIM Kashipur is one of the 20 IIMs in the country, one of the six new IIMs to be established in 2010-11 and the first among all the 6 IIMs to move to its fully functional permanent campus. The campus has been designed by leading designer firm Acorp (based out of Montreal, Canada) and is 200 acres of sheer brilliance. Also, Kashipur is located in one of the densest Industrial Hubs of the country. The Kashipur – Rudrapur belt has a huge number of industries and IIM Kashipur has a lot of collaborations with the industries. Gurgaon & Delhi are a 4-hour drive from Kashipur and Kashipur is the perfect place for any corporate to come over, interact with some lively students and spend some time in the beauty of nature before going back. The academic facilities at IIM Kashipur are also top notch The Research Databases and Bloomberg Analysis facilities are again something that is a great asset (13 Bloomberg Terminals and a big list of Databases.). Apart from these clubs and committees, there are some non-academic clubs as well such as Parivartan Club, Motion Pictures Club, Gaming Club, Photography club etc where the students can pursue their hobbies and maintain a good balance between academics and fun. The diversity at IIM Kashipur is also commendable. Students from all parts of India constitute the batch of an academic year. Students from Assam in the north east to Rajasthan in West to Kerala in the south to Kashmiri students from the north, all have chosen IIM Kashipur as their destination for quality education. This diversity not only helps the students in gaining exposure from different parts of India but also helps in forming bonds which remain long after they have completed their course. All in all IIM Kashipur is truly unique in its own way and will remain so. The IIM in the north. The company that I aspire to work for in the Aditya Birla Group would be Aditya Birla Retail Limited. Being a Six Sigma Green Belt holder, I feel that this is the company that would give me the maximum exposure in terms of Operations Management and Supply Chain Management. The company provides a huge roaster of products for its customers from vegetables, groceries, FMCG to apparel, consumer durables and IT goods, which will provide the ideal experience for any management student who aspires to work in Operations Management. For a long-term goal I would like to move steadily into the Aditya Birla Management Corporation where I would be able to gain a wider and deeper exposure about the AB group and also implement my knowledge of strategic management.